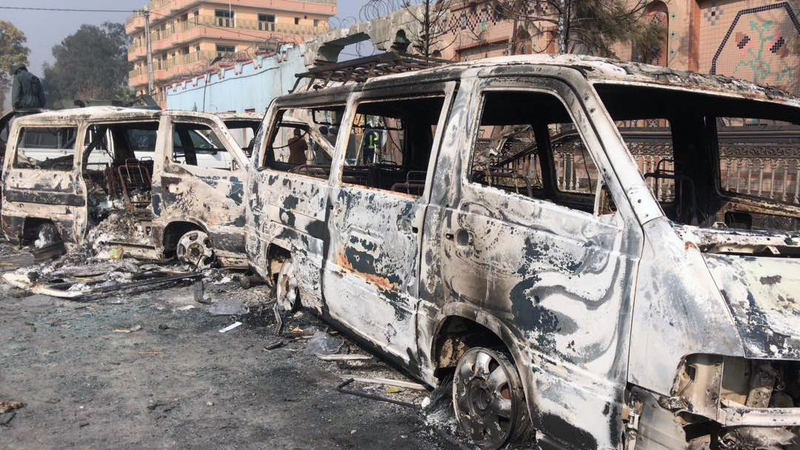 Local officials have confirmed the death toll in Wednesday’s deadly attack on the Save The Children organization in Jalalabad in Nangarhar has risen to six. According to the provincial spokesman Attaullah Khogyani, at least six people have been confirmed killed in the Wednesday attack. Khogyani said that four of the aid agency’s staff members were killed along with one security force member and a passerby. Daesh claimed responsibility for the attack that was launched at about 9am and lasted 10 hours. Afghan Special Forces and Commandos were eventually able to end the day-long battle with insurgents who had launched a coordinated attack against the Save The Children organization in Jalalabad, in Nangarhar, on Wednesday morning. The attack lasted 10 hours and ended at about 7pm local time. Dozens of people were rescued during the course of the afternoon as heavy gun fights between insurgents and security forces continued. The attack meanwhile drew widespread condemnation through the day and governments and other aid agencies condemned the attack – especially against an organization that helped children. Early reports indicate that at least three people were killed in the battle and over 25 wounded. The Save The Children organization stated on Wednesday afternoon that it had temporarily suspended all projects in Afghanistan and had closed all its offices in the country. Save The Children confirm four staff members were killed in Wednesday’s attack. In addition one security force member and one passerby were also killed.